Following Google employee walkouts and demands, both Google and Facebook have eliminated the requirement for employees to settle sexual harassment complaints internally. Tech companies Uber, Lyft, and Microsoft made the same change in the past couple of years. Previously, all of these companies had clauses in their policies, which employees agree to when hired, that forced employees to give up their right to sue the company for sexual harassment. Critics of forced arbitration say the policy puts victims at a disadvantage. Businesses are more likely to win cases in arbitration than in front of a judge. The internal practice also protects the company from public scrutiny and allows perpetrators to more easily get jobs in other companies, continuing the cycle of harassment. We will make arbitration optional for individual sexual harassment and sexual assault claims. Google has never required confidentiality in the arbitration process and arbitration still may be the best path for a number of reasons (e.g., personal privacy) but, we recognize that choice should be up to you. Analyze Pichai’s message: the audience, communication objectives, organization, writing style, etc. What works well, and what could be improved? Overall, how well does the message address employees’ concerns? Pichai mentions that privacy may be a reason employees choose the arbitration process, but the Times article says arbitration mostly protects the company’s privacy? Should Pichai have omitted this line? What, if any, downsides do you see of Google responding to employees’ demands in this way? 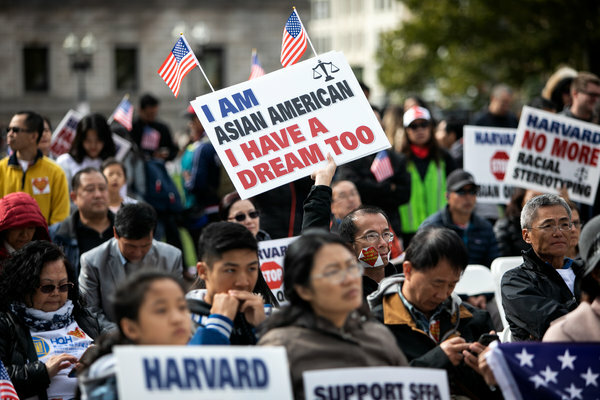 Details about Harvard’s admissions process are surfacing during the trial about how the university’s “race-conscious” decision policy may adversely affect Asian-Americans. The entire guidebook for admissions decisions in 2014 was entered into evidence. Back in 1990, the US Department of Education’s Office of Civil Rights criticized Harvard’s practice of using a personal rating and admissions officers’ stereotypical comments of Asian-American students. The same issue seems to be presented here, with comments from teachers and guidance counselors. How valuable do you think teacher and guidance counselor letters of recommendation are in the admissions process? How much weight should they carry in the overall decision? By definition, the personal rating includes subjective evaluations. Should universities try to avoid subjectivity in the admissions process? Why or why not? The Wall Street Journal reports how Facebook has repositioned itself since its founding in 2004. 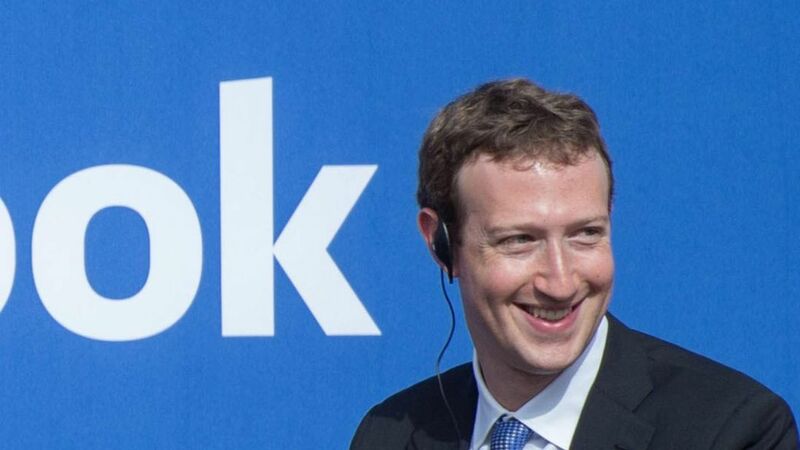 In 2005, at Harvard, founder Mark Zuckerberg said Facebook’s purpose is to ”look people up” and for “connecting to people.” In 2008, Facebooke expands and messages focus on helping people “share information. . . and share parts of their identity with each other.” In 2010, Zuckerberg’s vision enlarged: “People can have instantly social and personalized experiences everywhere that they go.” Soon after, Zuckerberg focused on problem solving. In 2012, Zuckerberg said, “Our mission isn’t to be a public company. Our mission is to make the world more open and connected.” By 2013, Zuckerberg was seeing Facebook’s role in selecting governments, getting healthcare access—improving people’s lives. More recently, given concerns about privacy and misinformation, Zuckerberg’s messages focus on responsibility. The WSJ video has a negative connotation about Facebook’s changing message, particularly in light of today’s news about shareholder proposals to split Zuckerberg’s roles. Do you agree with this assessment? How well has Zuckerberg handled messages about the evolution of Facebook in the past 14 years? What, if anything, can he do differently now? Do you agree with the proposal to split the CEO and chairman jobs? In other words, does Zuckerberg have too power? Does he need help at this point? How is Facebook’s evolving messaging a potential matter of integrity? Amazon received good press for announcing employees would earn a minimum of $15/hour. But today’s news tells a different story. Although the hourly wage will increase, Amazon is cutting bonuses and stock options, and employees fear it will cost them thousands of dollars in total compensation. The stock options, according to employees’ online posts, gave them a sense of company ownership. Some proposed walking out on Black Friday, the biggest shopping day of the year. Amazon had also granted bonuses for attendance and productivity, called Variable Compensation Plan, or V.C.P. "The significant increase in hourly cash wages more than compensates for the phase out of incentive pay and [restrictive stock units]. We can confirm that all hourly Operations and Customer Service employees will see an increase in their total compensation as a result of this announcement. In addition, because it's no longer incentive-based, the compensation will be more immediate and predictable." Box image source. Cart image source. This is quite possibly a miscommunication or, more to the point, poor communication from Amazon officials to employees. How could the company have done a better job? How well does the statement address the criticism? What else should the company communicate at this point? How is this an issue of integrity for the company? 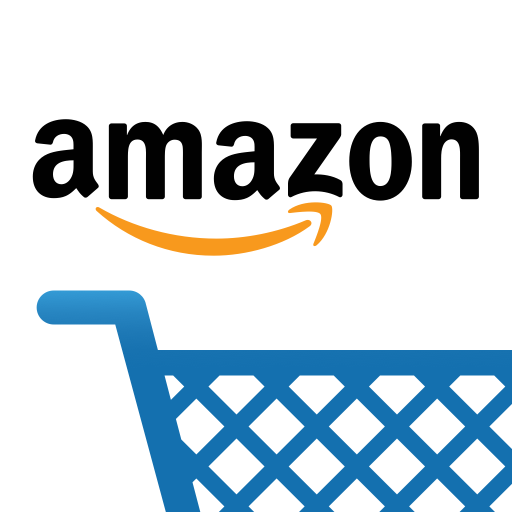 Assess Amazon’s blog post and video. How well does the company use the news to improve the company’s image? What’s your view of the move: the right thing to do, a bad financial decision, or something else? Read the entire press release. Who is the audience? How would you describe the organizational structure? The press release with Ma’s long letter included is unusual. We don’t see a quotation from Zhang; typically, an incoming executive will be quoted. Why do you think this was excluded? What could Zhang have said? In two tweets, President Trump criticized Google and other technology companies of "suppressing voices of Conservatives and hiding information and news that is good." Calling the situation "very serious" and "very dangerous," he claims that "fake" liberal news is elevated in search engines, while "fair" Republican/Conservative perspectives are suppressed. The president's evidence is based on searching for "Trump News," which he claims resulted in 96% of stories from "National Left-Wing Media." The data came from Lou Dobbs' reporting on Fox Business Network about an "unscientific study" by PJ Media, a conservative organization. It's also unclear which news organizations Fox and President Trump put in the "left-wing" category. A Wall Street Journal article explains that the president considers even mainstream media outlets to be "fake news," so what he calls unfair representation may not align with a "statistically neutral news aggregator." Yet the article acknowledged that the search engine algorithm for Google News is "opaque." In addition, Facebook was questioned during Congressional Hearings about suppressing conservative views, and several technology companies did recently close accounts belonging to Alex Jones and InfoWars, a conservative organization, for violating terms of agreement. Social media sites (except Twitter, which has retained Jones's account) provide reasons for closing Jones's account such as his claiming that the shooting at Sandy Hooks Elementary School in 2013 was a hoax. Try to find evidence on both sides of this argument: that Google News is unbiased against President Trump and that his claims are unfounded. What's your view about Google Search results? How might your own political perspective factor into your view? Pepsi will acquire SodaStream, which makes sense given declining sales of sugary drinks and bottled water, and increasing sales of sparkling water. "SodaStream is highly complementary and incremental to our business, adding to our growing water portfolio, while catalyzing our ability to offer personalized in-home beverage solutions around the world. From breakthrough innovations like Drinkfinity to beverage dispensing technologies like Spire for foodservice and Aquafina water stations for workplaces and colleges, PepsiCo is finding new ways to reach consumers beyond the bottle, and today's announcement is fully in line with that strategy." A Wall Street Journal article included a clear, simple column chart showing the dramatic increase in seltzer water. What is not said in the press release? What, if anything else, should be included? Pepsi's former CEO was Indra Nooyi, one of the few women running Fortune 500 companies, just announced her departure after 12 years. How, if at all, do you think the acquisition timing is relevant? What visual design principles are illustrated in the column chart? The report found that almost half of Americans "believe CEO activism influences the decisions and actions of government," and almost half of consumers "would be more likely to buy from a company led by a CEO who speaks out on an issue they agree with." Millennials, particularly, prefer CEOs to speak out on issues, and CEOs with more social media accounts have better stock performance for their company. A Wall Journal Street writer observes that leaders rarely make a business case for issues, even if their company would benefit. Instead, they are speaking to consumers directly to change hearts and minds. Top issues for CEOs include training, equal pay and sexual harassment, and CEOs are avoiding gun control, nationalism, marijuana legalization, and abortion." What are the risks and rewards of activism to a CEO and to the company? How does integrity factor in? What examples have you seen of CEOs speaking out? How do you assess the situations? How did you feel about the gestures? Read the Weber PPT deck. What principles of business report writing are followed, and what could be improved? New research, once again, illustrates the value of writing thank-you letters. A recent study shows that senders underestimate the impact of sending a letter of gratitude, which prevents them from writing one. People also worry that letters will be scrutinized and that receivers will feel awkward, but none of these perceptions align with the reality. In their study, Amit Kumar and Nicholas Epley, at the University of Chicago, compared how "expressers" felt about writing a letter with how people felt receiving them. Receivers felt more surprised about receiving the letters and about the content, more positive, and less awkward than the senders thought they would be. Most expressers spent less than five minutes writing a letter. Understandably, writers in the study doubted their own competence. Participants answered questions such as, “To what extent were you able to express your gratitude using words that were just right?” and “After your recipient reads your letter, how articulate do you believe they will think your expression of gratitude is?” People who received messages rated senders as more competent than senders rated themselves. This study builds on Kumar's earlier work showing that reflecting on experiences rather than on material goods makes people feel better and act more generously toward others. Have you sent a letter of gratitude in the past couple of years? What inspired you to send it? How was it received? Have you thought about sending a letter but did not? What stopped you? Do the findings in this study encourage you now? The authors hope so! Howard Schultz's career may get more interesting. After an incredible 40-year success story with Starbucks, Schultz announced he's stepping down from the company's board of directors. The Seattle Times reports that Schultz planned the announcement before the controversy about two black men arrested in a Philadelphia store. He waited until the news died down, and now, the time seems right. “I want to be truthful with you without creating more speculative headlines. For some time now, I have been deeply concerned about our country — the growing division at home and our standing in the world. He certainly has a simple, nicely designed website with a video introduction. Regardless of his campaign decision, Schultz seems to have some plans for a future. With the multiple ways to provide contact information ("Let's stay in touch! "), the focus is clearly on connecting with people. Assess Schultz's website and video. Who are his primary and secondary audiences, and what are his objectives? Why do you think Schultz emphasizes staying connected? Other than for political reasons, what could be his motivations? Read the company's press release. What are the main points? 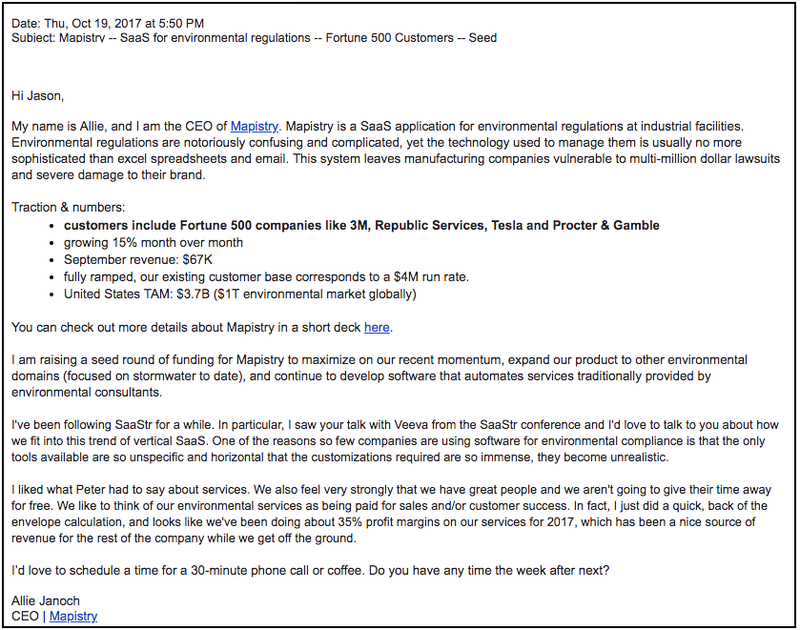 The CEO of Mapistry, a start-up software company for storm water compliance, posted and analyzed her past emails to VCs, venture capitalists who could invest in her company. Allie Janoch disputes the claim that you need an introduction to a VC; she has had some success in sending cold emails. Her first email, Janochs admits, says little about her company and undermines the message with self-deprecation. She didn't get a response. Her second email, when her company had more traction, includes a specific subject, focuses on problem solving, uses bullets for important data points, and is personal. What do you consider the strength's of Janoch's second email? What improvements could she make? How does each email demonstrate humility? The first, as Janoch says, is self-deprecating. What's the potential problem with this approach? How does the second email demonstrate humility as well as confidence? How well does Janoch balance the two? Following criticism for arresting two black men in a Philadelphia store, Starbucks has set a new policy for bathroom use. Company leaders decided to adopt a more open policy, allowing anyone to use a store bathroom without purchasing products. But people questioned the effect on Starbucks locations, worrying the policy would invite homeless people and drug users. Customers want space available for themselves. Employees, particularly, complained that the policy didn't have enough guidance for them to know, for example, when to call the police. The policy also refers to "Addressing Disruptive Behaviors" procedures and clarifies, "If a situation presents an immediate danger or threat to partner or customer safety, Starbucks partners should call 911." I'm struggling with the term "customer." The policy uses this terminology, and the WSJ article refers to paying and non-paying customers. To me, the latter is an oxymoron, but perhaps it is not given the company's mission to create a "third place." What benefits and potential downsides do you see from Starbucks' open policy? How could Starbucks further clarify the policy to address customers' and employees' concerns? One point of clarification, if you haven't mentioned it, is about timing. How long should people be permitted to stay without purchasing an item? What are your thoughts about what is fair? What's your view of the term "customer" in this context? In an article, "The Soul-Crushing Student Essay," a writing instructor at The New School in New York City laments first-year students' writing. Every semester, he says, students ask, “Do you mean we can write with the word ‘I’?” He says, "Somewhere along the way, these young people were told by teachers that who they are in their writing ought to be divorced from who they are on their phones, or as the writer Grace Paley may have said, with their families and on their streets." First, we need to value more the complete and complex lives of young people: where they come from, how they express themselves. They have already lived lives worthy of our attention and appreciation. Second, we need to encourage young people to take seriously those lives they’ve lived, even as they come to understand—often through schooling and just as often not—that there’s a whole lot more we’ll expect of them. Through this, we can help them learn to expect more of themselves, too. I'm sensitive to the topic because several students recently asked me this question about their final assignment—a self-reflection paper. 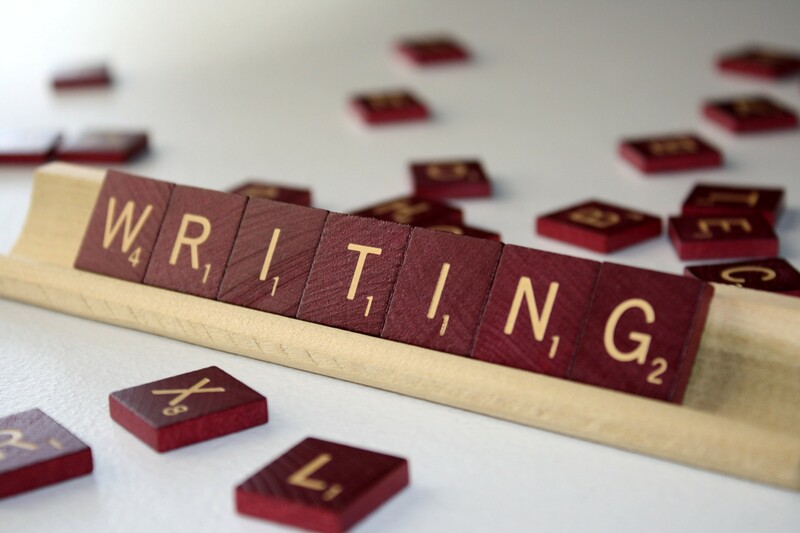 Were you taught to avoid "I" in writing? What was the reason? What is the value of writing from your own experience? How does using "I" make your writing clearer and more concise? After a dismal three years of food-safety issues, Chipotle saw a strong first quarter, and CEO Brian Niccol is confident about the company's future. Since the outbreaks, part of Chipotle's turnaround plan was to introduce new menu items, but they did not prove successful. "While the company made notable progress during the quarter, I firmly believe we can accelerate that progress in the future. We are in the process of forming a path to greater performance in sales, transactions, margins and new restaurants. This path to performance will be grounded in a strategy of executing the fundamentals while introducing consumer-meaningful innovation across the business. It will also require a structure and organization built for creativity, action and accountability. Finally, Chipotle will have a culture that is centered on running great restaurants, putting the customer first, innovating for today and tomorrow, supporting each other, and delivering on commitments. The future will be meaningful at Chipotle." (Disclosure: I own a modest amount of Chipotle stock.) Image source. Assess the earnings call or press release. What business jargon do you identify? Is it too much, or is it appropriate for the situation and audience? Niccol is challenging Ackman's ideas, which is risky for a new CEO. How do you interpret his statement? Again, is what he says appropriate for the situation, or should he present his views differently? Would you say that Niccol is demonstrating courage in his statement about Ackman? Why or why not?